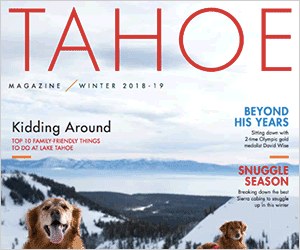 The fact that most Tahoe residents still do not know (much) about the project to build a large private commercial ski lodge upon Tahoe City Public Utility District (TCPUD), land in a residential neighborhood next to two schools, proves that prior public outreach efforts have not been that ineffective. But you can help change that situation now. Informed community members questioned methods used for the preliminary site scoring and traffic studies; but the project became much more controversial in 2016, after the applicant: more than doubled the facility’s size by massively modifying a historic (1930s) “Old Tahoe” residence for use of its members and commercial operations; enlarged the parking area to hold up to a hundred cars and several buses; and began pushing to locate the facility (and its associated hazardous materials) on forest and meadow land next to the North Lake Tahoe middle and high schools on the busiest winter street in The Highlands, that is routinely used by neighborhood students and gym classes, and is the only emergency evacuation and response route for those schools. As Lead Agency, the TCPUD has received over 30 letters and emails from concerned parents and residents very strongly opposed to the project due to the major impacts it would have on both public safety and the environment. To help them, please email the TCPUD (sbarclay@tcpud.org, kboyd@tcpud.org and tviehmann@tcpud.org) and ask to review and comment on the Draft Environmental Impact Report (EIR) for this project.